Sakai Guides and DocumentationSakai Complete User Guide Tests and QuizzesHow do I create a short answer/essay question? This allows for a short answer or essay question to be added to a new or existing assessment. This question type presents users with a question followed by a text box in which they enter the answer. This type of question must be manually graded. 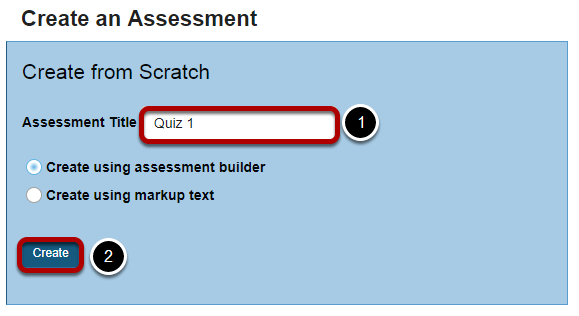 Select the Test & Quizzes tool from the Tool Menu. Select Short Answer/Essay from drop-down menu. 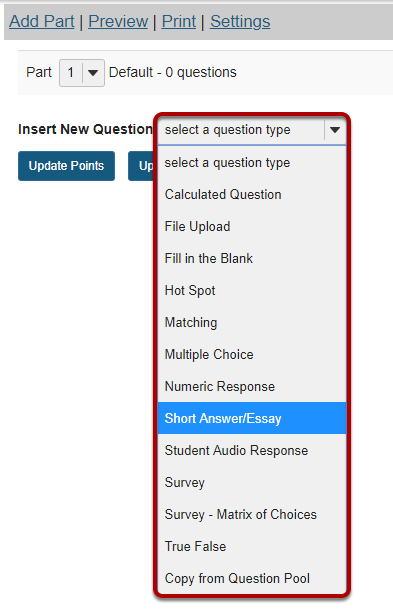 After selecting Short Answer/Essay from the drop-down menu, the program will open additional options for the question. Provide a model answer to the short answer/essay question in order to show students a generic version of the expected answer. It may also assist graders with feedback. Prev: How do I create a true/false question? Next: How do I create a fill in the blank question?